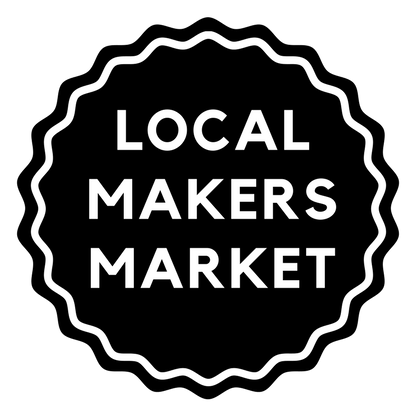 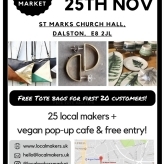 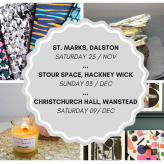 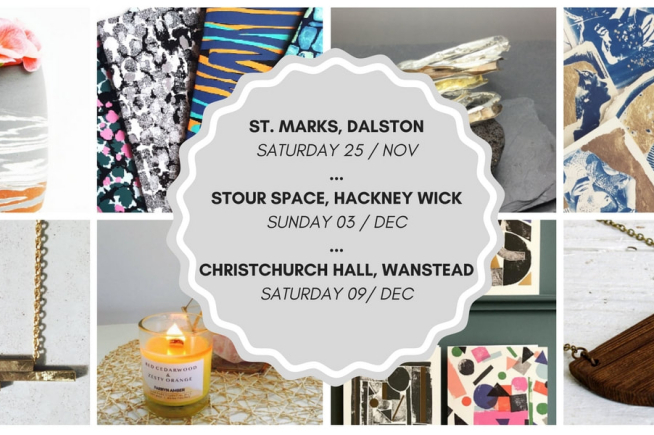 The Local Makers Market Christmas Markets in are taking place around East London, in Dalston, Wanstead and Hackney Wick. 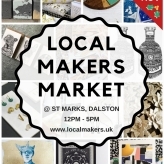 Our markets showcase handmade products from local designer-makers. 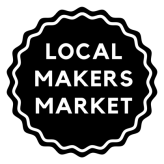 Visit our Christmas themed Local Makers Markets and you will be provided with lots of opportunities for festive shopping. 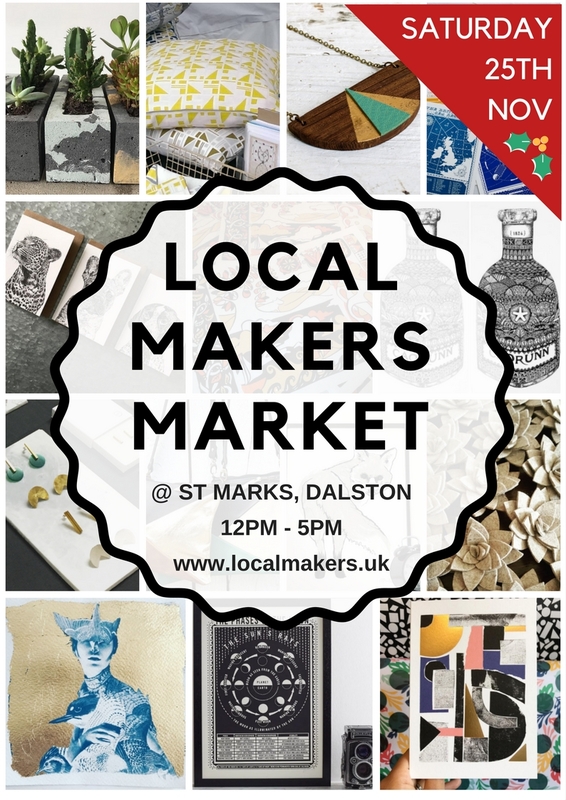 You can expect to find screen prints, ceramics, jewellery, homewares and textiles- perfect for gifts. 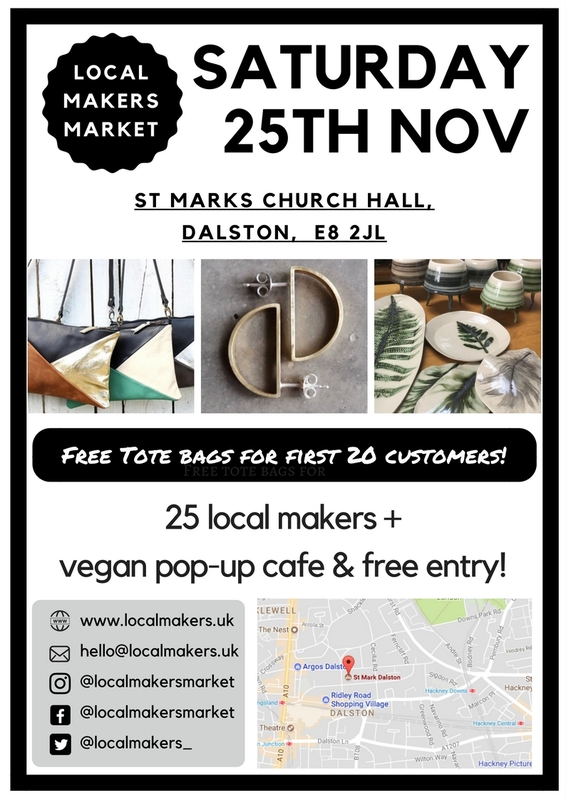 The vegan pop-up cafe will be stocked with festive treats including our legendary sausage rolls and homemade cakes!